Can’t handle the monthly wait for new Hyphenates? 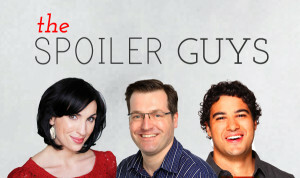 Need more film and pop culture talk to fill the gap? Many of our clever and funny guests have podcasts of their own, and you can find them all, be they current or archived, right here. 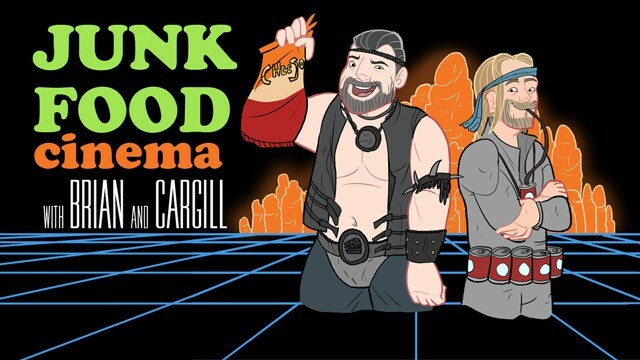 Hosted by Drew McWeeny (Hi4H April 2014) and Scott Weinberg (Hi4H April 2017), 80s All Over (2016–present) is a month-by-month look at the decade of cinema that was the 1980s, beginning with January 1980 and taking it from there. Listen to it here! Hosted by Eloise Ross (Hi4H January 2018), Andy Hazel and Anders Furze, Cultural Capital (2016–present) is a fortnightly podcast about film culture in and about Melbourne. Listen to it here! Hosted by Marc Fennell (Hi4H March 2012), Download This Show (2011–present) is ABC Radio National’s weekly show about technology, social media, consumer electronics, digital culture and more. Listen to it here! Hosted by Maria Lewis (Hi4H October 2015) and Caris Bizzaca, Eff Yeah Film & Feminism Podcast (2015–present) is a show about film, feminism and fierce femmes. Listen to it here! Hosted by Tina Hassannia (Hi4H February 2017) and Mallory Andrews, Everything But Sports (2017–present) is a show about arts, culture, film and really anything except sports. Listen to it here! Hosted by Jeremy Smith (Hi4H April 2013) and Allison Goertz, Fire Talk With Me (2014–present) is an episode-by-episode exploration of David Lynch’s groundbreaking Twin Peaks. Listen to it here! Hosted by Michael Ian Black (Hi4H September 2017), How To Be Amazing (2015–present) features Michael interviewing notable figures, such as Lin-Manuel Miranda, Amy Schumer, Neil deGrasse Tyson, to find out how they became amazing. Listen to it here! Hosted by C Robert Cargill (Hi4H June 2012, Hi4H June 2017) and Brian Salisbury, Junk Food Cinema (2014–present) is a look at the forgotten cult films and exploitation gems, the so-called “lost children” of the medium. Listen to it here! Hosted by Blake Howard (Hi4H October 2015), One Heat Minute is a show all about Michael Mann’s 1995 classic Heat, with each episode devoted to a single minute from the film. Featuring guests such as Garth Franklin (Hi4H January 2016), Luke Buckmaster (Hi4H November 2010) and Lee Zachariah. Listen to it here! Hosted by Cerise Howard (Hi4H May 2012), Alexandra Heller-Nicholas (Hi4H August 2015) and Emma Westwood (Hi4H November 2017), founded by original hosts Thomas Caldwell (Hi4H June 2010, Hi4H June 2015), Josh Nelson (Hi4H February 2011) and Tara Judah (Hi4H December 2010), and previously featuring Hayley Inch (Hi4H October 2014) and Myke Bartlett (Hi4H December 2011), Plato’s Cave (2011–present) is a film podcast out of Melbourne’s Triple R that covers new cinema releases, DVD releases, and hot button topics in the film world. Listen to it here! 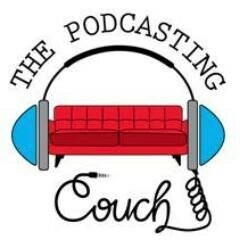 Hosted by Josh Nelson (Hi4H February 2011), Plato’s Couch (2018–present) is a not-so-popular culture podcast from out of New York. Link coming soon! Hosted by Simon Miraudo (Hi4H July 2011), Shannon Harvey, Natasha Povey and Andrew Williams, The Podcasting Couch (2015–present) features segments including Movie Warrior, Movie Quiz and One Good Thing, as well as a unique take on film reviews. Listen to it here! Hosted by Mel Campbell (Hi4H December 2013), Sam Twyford-Moore and Dion Kagan, The ReReaders (2011-present) features in-depth analysis of film, literature, television, and all forms of art and pop culture. Listen to it here! Hosted by Richard Watts (Hi4H December 2014) and featuring regular film review segment “A Fistful of Celluloid” with Cerise Howard (Hi4H May 2012), SmartArts (2004–present) is the popular long-running art program on Melbourne’s Triple R radio station. Listen to it here! Hosted by Hayley Inch (Hi4H October 2014) and Andy Hazel, Twin Peaks The Return: A Season Three Podcast (2017) looks at the third season of the beloved series by David Lynch & Mark Frost. Listen to it here! 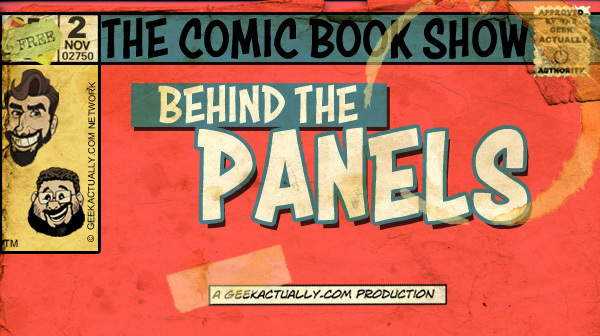 Hosted by Richard Gray (Hi4H January 2012) and David McVay, Behind The Panels (2011–2015), produced by the Geek Actually Podcast Network, is an Australian podcast focused on comic books, featuring news, interviews, reviews and more. Listen to it here! Hosted by Blake Howard (Hi4H October 2015) and Cam Williams, The Debrief (2014–2016) is Graffiti With Punctuation’s look at new release films, trailers, and film news. Listen to it here! Hosted by Marc Fennell (Hi4H March 2012), Marc Fennell’s Movie Podcast (2007–2017) is a collection of his two minute reviews of the latest releases for ABC’s Triple J. Listen to it here! Hosted by Michael Ian Black (Hi4H September 2017) and Tom Cavanagh, Mike and Tom Eat Snacks (2011–2016) features Mike and Tom eating snacks and talking about it. Listen to it here! Hosted by Drew McWeeny (Hi4H April 2014) and Scott Swan, The Motion/Captured Podcast (2010–2013)is a mix of reviews, interviews, general film chat, and some great games, including the infamous Movie God and Remake This. Listen to it here! 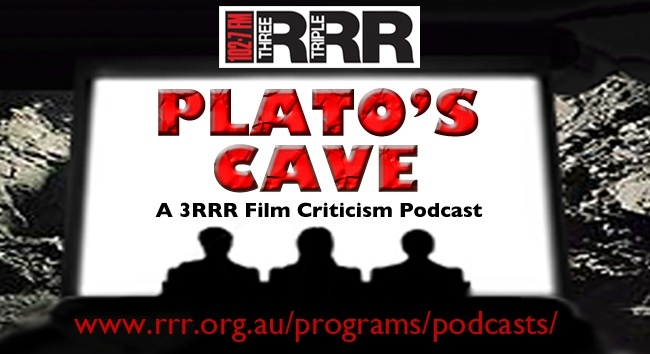 Hosted by Rich Haridy (Hi4H December 2012), and co-founded by Zak Hepburn (Hi4H March 2014) and Luke Buckmaster (Hi4H November 2010), Parallax Podcast (2013–2016) is a film podcast featuring reviews of new releases, TV shows, DVDs, and cult classics. Listen to it here! 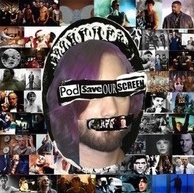 Hosted by Blake Howard (Hi4H October 2015) and Maria Lewis (Hi4H June 2016), Pod Save Our Screen (2013–2017) is Graffiti With Punctuation’s film review show, featuring analysis of new release films, vintage classics and cult gems. Listen to it here! Hosted by John Richards (Hi4H July 2012), Ben McKenzie and Petra Elliott, Splendid Chaps (2013, plus specials) was a year-long celebration of Doctor Who, broadcast in 2013, the show’s 50th anniversary. The shows featured an array of guests, including Hi4H co-host Lee Zachariah, Geraldine Quinn (Hi4H November 2012), Tegan Higginbotham (Hi4H September 2013), Thomas Caldwell (Hi4H June 2010), Myke Bartlett (Hi4H December 2012) and Richard Watts (Hi4H December 2014). Hosted by Marc Fennell (Hi4H March 2012), Giles Hardie (Hi4H August 2013) and Alice Tynan (Hi4H August 2012), The Spoiler Guys (2012–2014) is the podcast you listen to after the film is over, as the trio delves into all the twists and details of the movie to find out what worked and what didn’t. Listen to it here! Hosted by Simon Miraudo (Hi4H July 2011) Talk Hard (2013–2014) is the official podcast of Quickflix, featuring interviews with filmmakers and actors, as well as reviews of new releases. Listen to it here! 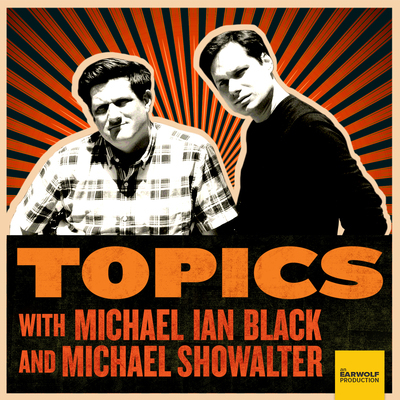 Hosted by Michael Ian Black (Hi4H September 2017) and Michael Showalter, Topics (2013–2014) features these two long-time collaborates tackling some of the most difficult questions, from “What is the nature of love?” to “Is time travel possible?” and “Does God exist?”. Listen to it here!